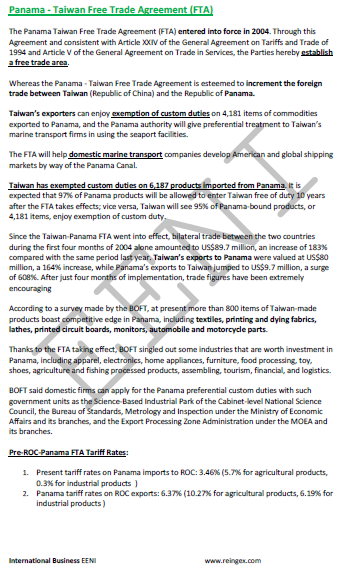 Syllabus of the Online Course (Subject): Foreign Trade and Business in Taiwan (Republic of China). Higher Education programs adapted to Taiwanese Students. 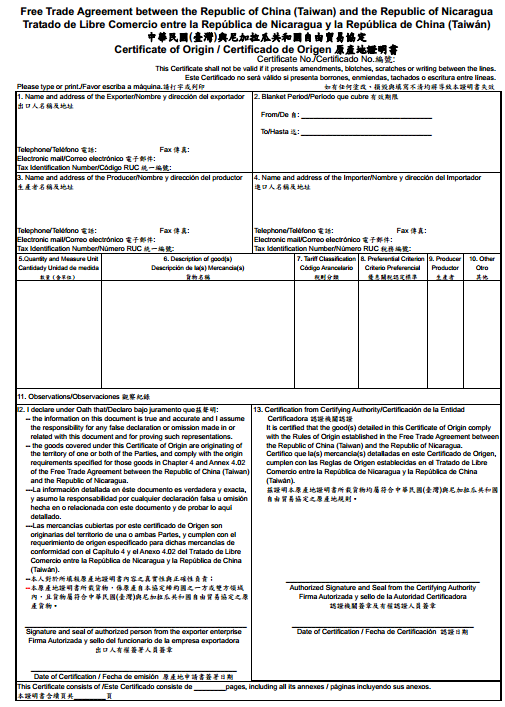 The course materials are available in (or Taiwán Taïwan). 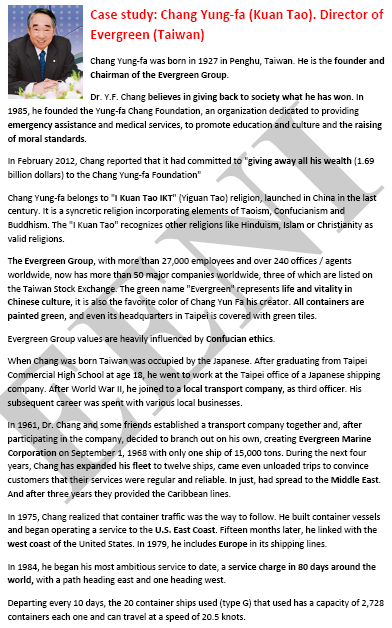 Description of the Online Course - Doing Business in Taiwan (Republic of China). 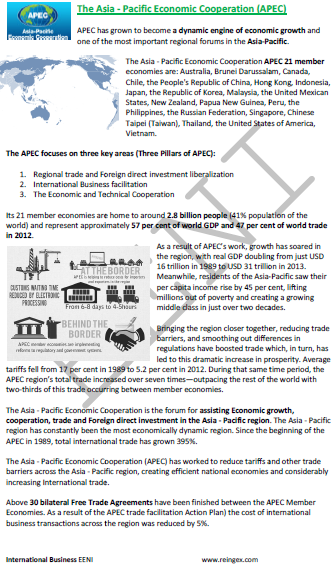 The Republic of China (Taiwan ROC) is one of the Four Asian Tigers, the strategic position at the heart of the Asia-Pacific region, converts Taiwan in a Global manufacturing centre. The Republic of China has not natural resources and has a small local market, for this reason, the Taiwanese economy is based on international trade (80% of the gross national product). On June 29, 2010, Taiwan and mainland China signed the Framework Agreement on Economic Cooperation to strengthen bilateral trade and economy and to reduce political risks between Taiwan and mainland China. Taiwanese official statistics indicate that Taiwan firms had invested 84,400 million dollars in China (more than 50% of the FDI stock). Foreign direct investment (FDI) in Taiwan. Taiwan offers some advantages to multinational firms and investors over other countries in Asia. Taiwan's economy has gone from labour-intensive to being knowledge-based and capital-intensive, so the country has a variety of new opportunities for foreign direct investment (FDI) in Taiwan. 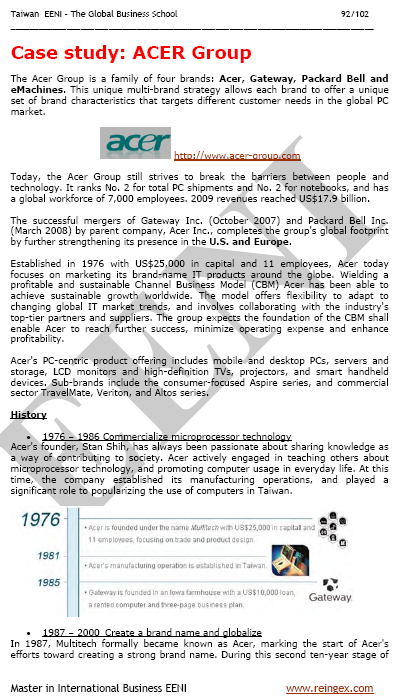 In fact, some key high-tech industries in the World are in Taiwan. 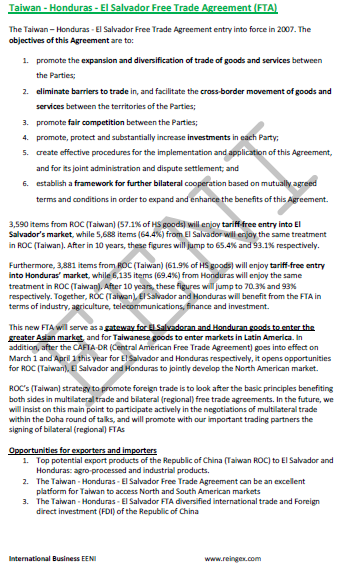 Taiwan Free Trade Agreements (FTA) (Republic of China).